The Fifth Annual Academy of Country Music Celebrity Golf Tournament will be held on May 17th at the Tournament Players Club in Las Vegas. 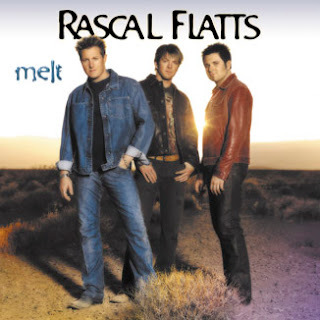 The Hosts of this year's event will be Rascal Flatts. 100 golfers will participate in the sold-out event. Founded in 1964, the Acadeny of Country Music is an artist and industry-driven organization, that provides the financial resources to ensure the on-going philanthropic work of its Charitable Fund. The Academy of Country Music Charitable Fund promotes and supports music education and humanitarian programs that transform the human spirit. Through its charitable donations, the ACMCF works towards promoting Learning Through Music and Healing Through Music. The Academy is comprised of more than 4,500 professional members and more than 40,000 associate members and is headquartered in Encino, Calif.
Joe Don Rooney, a guitarist and vocalist with the band Rascal Flatts, is ranked #10 in the Golf Digest list of the top musicians who play golf. 0 Response to "Rascal Flatts to Host Academy of Country Music Celebrity Golf Tournament"